Released on: December 16th, 2016. Disgruntled Vietnam Vets were everywhere in the eighties, at least it the movies are to be believed. For every blockbuster like the Rambo films or the Missing In Action pictures, however, there were at least a few more than fell by the wayside. One such picture is The Park Is Mine, a movie originally made for HBO that for whatever reason never saw a legitimate DVD release. 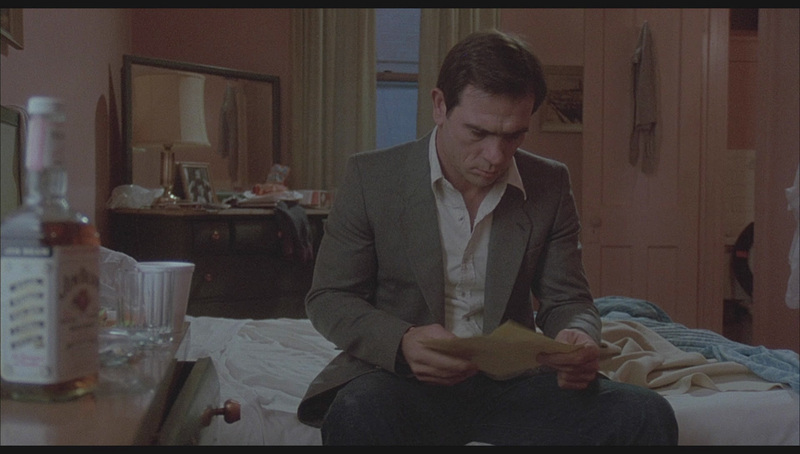 The film stars Tommy Lee Jones as Mitch Harris. Since getting back from The 'Nam, things haven't been going so well for him. He can't hold a job and his ex-wife, Rachel (Gale Garnett), doesn't seem too keen on letting him see his kid until he catches up on the support he owes her. 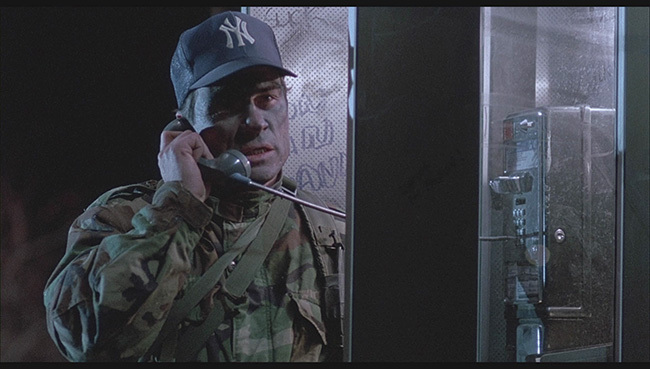 When one of his fellow vets commits suicide in the opening of the film, Mitch winds up with a note. A note, you say? Yes! A missive in which the dearly departed explains to Mitch how he's basically setup an armory in the middle of New York City's Central Park, complete with pre-wired explosives and machine gun ammo galore! Mitch decides he's going to take it upon himself to complete this mission - it'll mostly be smoke bombs and fake rounds used more to scare people than to hurt them. Why? So that he can draw some much needed attention to the horrible way that vets are treated and to remind people that those news stories talked about on the back pages of the paper still matter. He's got the military knowhow to pull it off and he intends to hold the park until Veteran's Day. Once word gets out about what he's done, Deputy Mayor Dix (Peter Dvorsky) calls in the heavies to deal with it. The top cop in charge of taking Mitch out, Eubanks (Yaphet Kotto), is sympathetic to a point, but things take an interesting turn when Mitch holds a news reporter named Valery Weaver (Helen Shaver) hostage after she works her way into his secret base. Set to an interesting (but not always thematically appropriate) score by Tangerine Dream, The Park Is Mine lightly touches on real life issues such as the treatment of vets and the difficulty that they can have readjusting to the society they went overseas to defend. It never really goes all that far with this aspect, however. We know things are dicey with his ex-wife and that he's upset over the loss of his friend but we also know that he was let go after mouthing off to his employer and that he's kook enough to think blowing up large sections of Central Park and taking out cop cars and helicopters with explosives is a good way to drive his message home. A little more character development would have gone a long way here. The performances are decent. Jones is in fine form here, never quite going too over the top but definitely getting into it as the movie progresses. He handles himself well enough in the action scenes and despite the fact that he's a crack pot, we kind of like the guy. 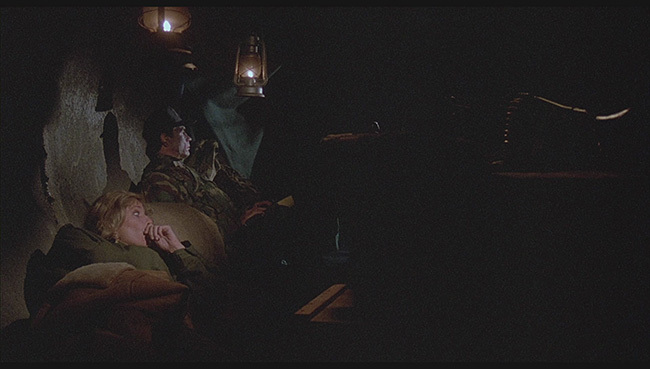 Helen Shaver is pretty forgettable as the news reporter trying to get to the real heart of the story here, her character just isn't all that interesting. Peter Dvorsky, recognizable from a few early Cronenberg features, is quite good as the sleazy mayor while Yaphet Kotti does fine as the slightly awkward cop out to take down a man he doesn't necessarily want to take down. Location shooting is a mixed bag, however. There is some solid NYC footage here, some clips of Mitch walking the city and some shots showing the exteriors of Central Park in all their glory - but those who pay attention will notice that sometimes the action switches to some clearly Canadian locales (check out the Mr. Sub sign in one shot). 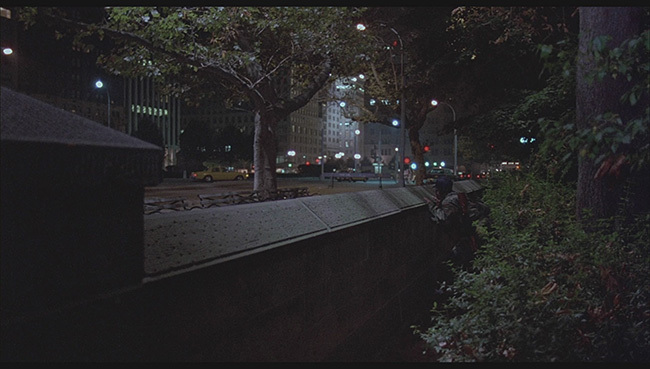 Also, anyone who has ever been to Central Park will notice that most of the more intense action scenes are not shot in Central Park at all but in some large woodlot. Not a perfect film, and it's about ten minutes longer than it needs to be, but The Park Is Mine is entertaining enough to watch once. 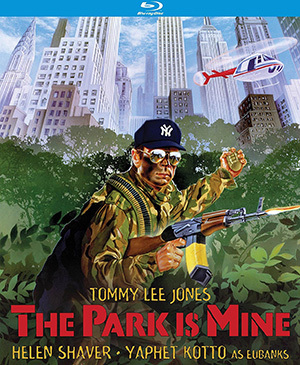 The Park Is Mine arrives on Blu-ray on a 25GB disc framed at 1.85.1 widescreen in an AVC encoded 1080 transfer. The picture quality here isn't very good. The image is noticeably brighter than it should be, causing blacks to turn to greys and resulting in a picture that looks too contrasty and hot. 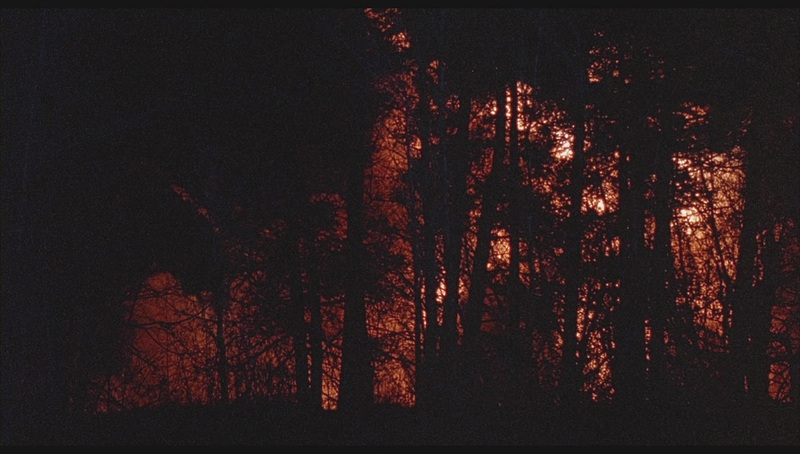 The image is also fairly soft, rarely rising up past DVD levels. It's more than watchable, but it never really looks like a good Blu-ray should look. On the plus side, the image is clean and there are no issues with print damage. Really though, even if the movie is no classic, it should have looked better than it does here. The only audio option for the film is the original English language track, presented in DTS-HD 2.0 format. Optional subtitles are provided in English only, and there's a weird anomaly here where the last character of a whole lot of sentences is cut off and replaced with a '.' Aside from that the audio is fine. The weird Tangerine Dream score sounds quite good, the dialogue is easily discernable and the levels are properly balanced. The main extra on the disc is an audio commentary with Mondo Digital's Nathanial Thompson. He offers up some interesting anecdotes about the film's history, it's made for TV origins, the different locations that were used for the shoot as well as the cast and crew members involved in the production. 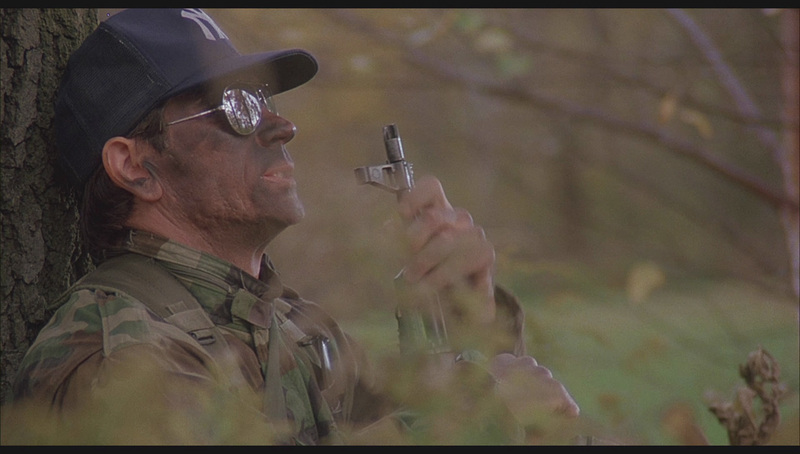 He also notes both similarities and differences between this picture and other eighties-era disgruntled vet movies. This track quiets down a little bit towards the end but it is, overall, well researched and quite interesting. Aside from that we get the film's original theatrical trailer, a few bonus trailers (for Blown Away, The Package, Report To The Commissioner, The Taking Of Pelham 123 and Busting) menus and chapter selection. Kino has packaged this release with some slick reversible cover art allowing you to display your choice of two different images. The Park Is Mine isn't a perfect film but it is an interesting time killer even if it never really cashes in on the social commentary aspect of its storyline. 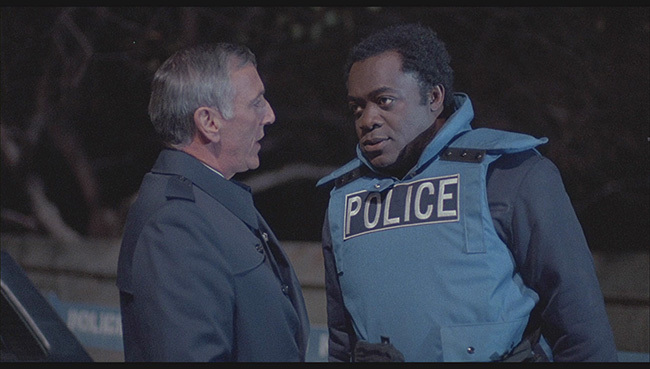 Jones is pretty good in the lead and it's fun to see Yaphet Kotto running around in a SWAT suit. The Blu-ray release contains a good commentary track as its main extra feature and is obviously better than the old VHS release but the transfer has serious brightness issues. It's unlikely we'll see this one get reissued, so for now it's the best game in town, but it definitely leaves room for improvement. 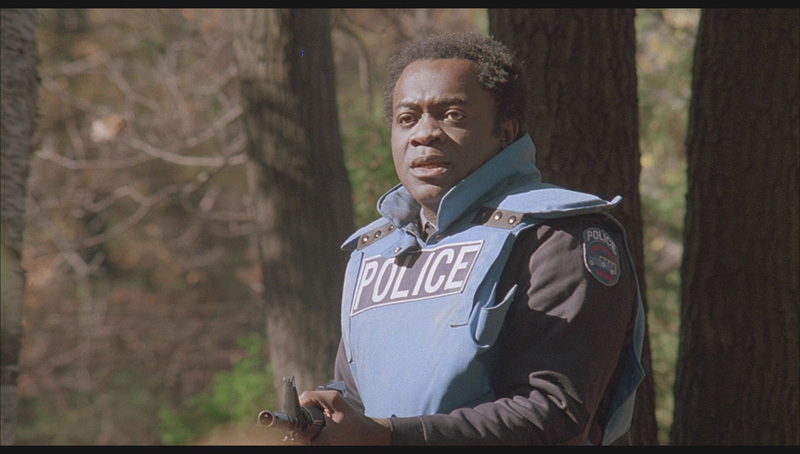 Yaphet looks downright uncomfortable in that vest haha. I've never seen this, but I have a soft spot for 80's disgruntled vet-core films. Yaphet's vest is... ill fitting. haha. Good review, Ian. I agree that it's worth seeing once. It's way too tame; the novel it's based on sounds amazing the way Thompson describes it in the commentary. Too bad they couldn't have done a faithful adaptation - it could've been a sleaze classic.